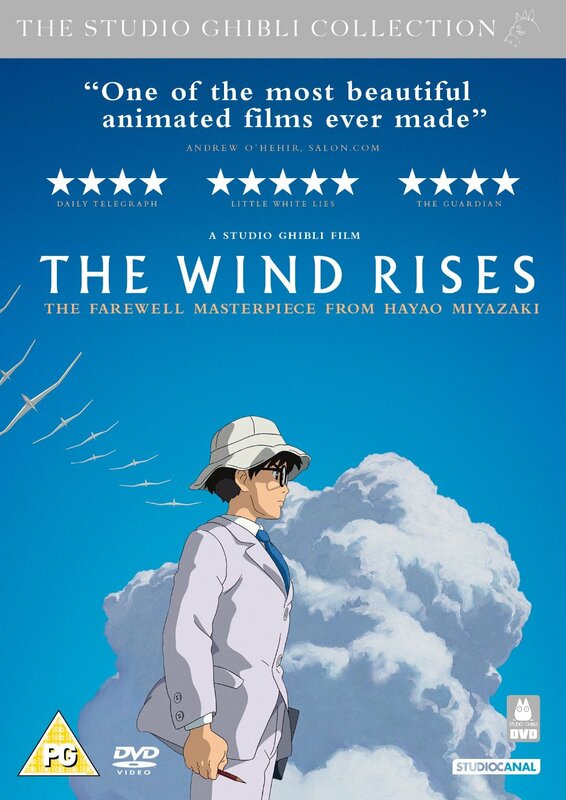 Hayao Miyazaki writes and directs this Japanese animated feature from Studio Ghibli. As a young boy, the bespectacled Jiro Horikoshi (voice of Hideaki Anno) dreams of flying a plane but when he learns he will be unable to become a pilot due to his poor eyesight, he instead decides to be an aircraft designer. On September 1st 1923 Jiro is travelling by train when the Great Kanto earthquake strikes. He assists fellow passenger Naoko (Miori Takimoto) and her maid who suffers an injury. He doesn't meet Naoko again till many years later after he has graduated university and has worked on various designing jobs, without finding much success. The two fall for each other and become engaged but Naoko is suffering from tuberculosis. While they try to enjoy the time they have together Jiro continues to work on designing his first successful plane. Hayao Miyazaki writes and directs this Japanese animated feature from Studio Ghibli. As a young boy, the bespectacled Jiro Horikoshi (voice of Hideaki Anno) dreams of flying a plane but when he learns he will be unable to become a pilot due to his poor eyesight, he instead decides to be an aircraft designer. On September 1st 1923 Jiro is travelling by train when the Great Kanto earthquake strikes. He assists fellow passenger Naoko (Miori Takimoto) and her maid who suffers an injury. He doesn't meet Naoko again till many years later after he has graduated university and has worked on various designing jobs, without finding much success. The two fall for each other and become engaged but Naoko is suffering from tuberculosis. While they try to enjoy the time they have together Jiro continues to work on designing his first successful plane.